①　超過人口がもたらす生存可能最低賃金に依存するリカードの労働供給論。効用理論を持たないリカード経済学の限界でもある。 The paragraphes below are, in essence, about Ricardo’s labor supply theory. The lack of utility theory is his limit. 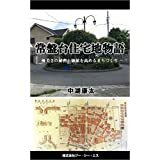 ②　生存可能最低賃金へのさらなる下方圧力　Population presses against the means of subsistence. 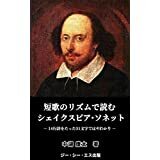 ③ 人口増加を上回る生産力の増大のため規律ある政府、教育の重要性　To be made happier they require only to be better governed and instructed, as the augmentation of capital, beyond the augmentation of people, would be the inevitable result. ④ 人口が増加し、生存最低水準を下回る圧力が賃金に加わると、唯一の救済策は人口の減少か、より速い資本の蓄積しかない。With a population pressing against the means of subsistence, the only remedies are either a reduction of people or a more rapid accumulation of capital. In those countries where there is abundance of fertile land, but where, from the ignorance, indolence, and barbarism of the inhabitants, they are exposed to all the evils of want and famine, and where it has been said that population presses against the means of subsistence, a very different remedy should be applied from that which is necessary in long settled countries, where, from the diminishing rate of the supply of raw produce, all the evils of a crowded population are experienced. In the one case, the evil proceeds from bad government, from the insecurity of property, and from a want of education in all ranks of the people. To be made happier they require only to be better governed and instructed, as the augmentation of capital, beyond the augmentation of people, would be the inevitable result. No increase in the population can be too great, as the powers of production are still greater. In the other case, the population increases faster than the funds required for its support. Every exertion of industry, unless accompanied by a diminished rate of increase in the population, will add to the evil, for production cannot keep pace with it. With a population pressing against the means of subsistence, the only remedies are either a reduction of people or a more rapid accumulation of capital. In rich countries, where all the fertile land is already cultivated, the latter remedy is neither very practicable nor very desirable, because its effort would be, if pushed very far, to render all classes equally poor. But in poor countries, where there are abundant means of production in store, from fertile land not yet brought into cultivation, it is the only safe and efficacious means of removing the evil, particularly as its effect would be elevate all classes of the people.